Prominent & Leading Manufacturer from Vadodara, we offer ivermectin injection and tryptabel plus veterinary medicines. 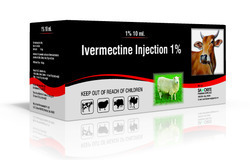 Being the most respected organization guided by experienced and knowledgeable professionals, we provide a high quality range of Ivermectin Injection. Offered injection is processed precisely using the top quality chemical compounds in conformity with the international quality standards. Also, this injection is tested by our industry experts on varied parameters like long shelf life and purity. We offer this injection in a wide range of packaging options and at nominal prices. 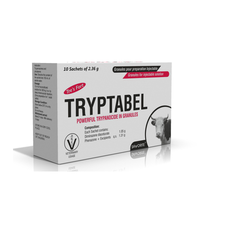 We provide to our esteemed clients a wide assortment of Tryptabel Plus Veterinary Medicines. Offered array is processed accurately by our capable professionals using quality assured chemical compounds and progressive machinery in tune with the set quality norms. We offer this gamut in various packaging options, to suit precise needs of our clients. Prior to its final dispatch, this product is checked by our quality inspectors on numerous parameters.